Holly Golightly cheered herself up with breakfast at Tiffany's. During the winter, when the bird feeders are up at Evodia in the Ramble, sitting on a bench watching the birds while I have a cup of coffee and a bagel is my Holly moment. When I have had a bad week (and this was a very very very bad week) an hour with the birds is a tonic. Now that spring's officially here, the feeders will be gone soon, and the birds are starting to switch to their courting clothes. 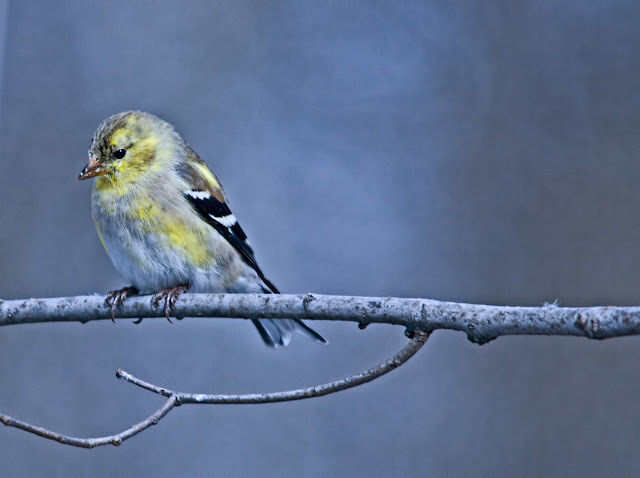 I took the picture of the American goldfinch on the left yesterday; the photo below is from last weekend. 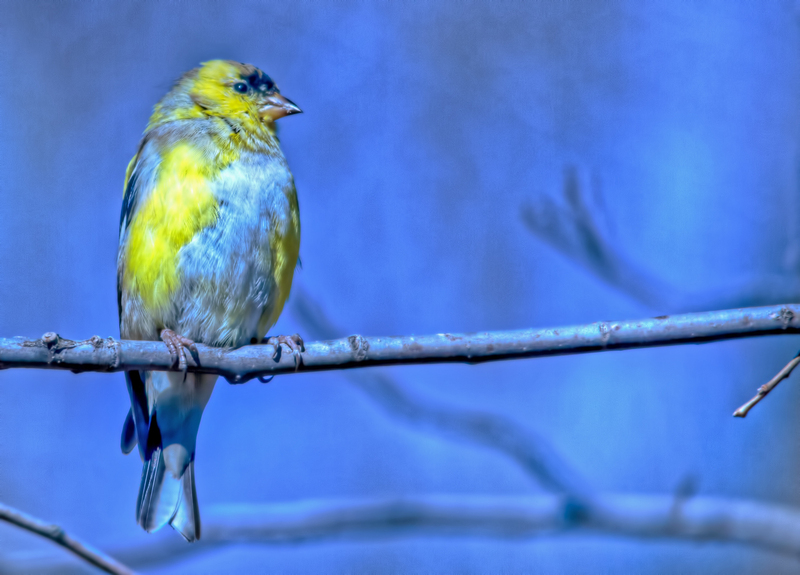 A few more weeks and the males will be bright yellow all over.